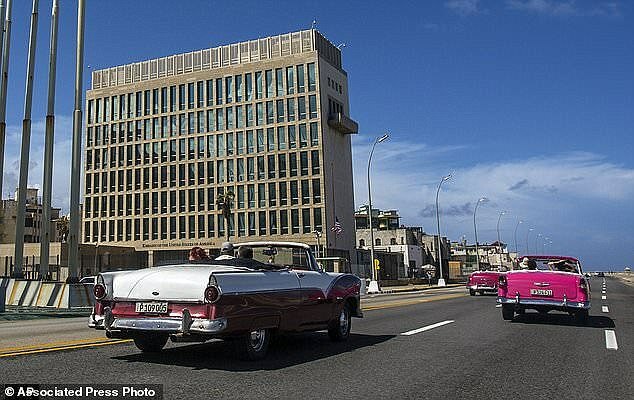 In August, American and Canadian diplomats working in Havana reported hearing sounds that were believed to be a mysterious sonic weapon. Doctors termed the sounds 'directional acoustic phenomena', and even noticed brain changes in those hearing it. 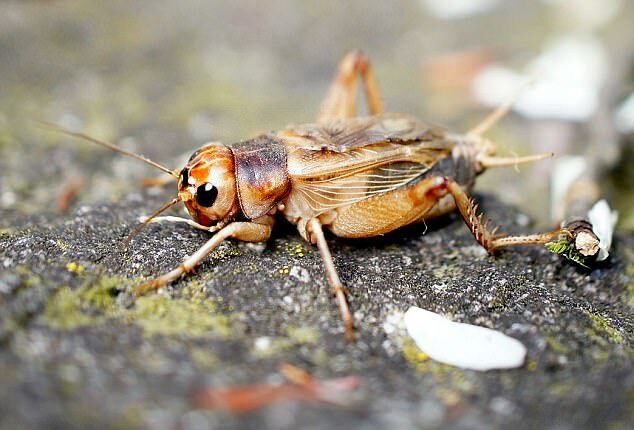 While a study by Cuban scientists last week suggested that the sound was produced by crickets, an expert claims that this isn't the case. Instead, he says that both the sounds and health effects may be the result of a beam of pulsed microwaves. In a study in the IEEE Microwave Magazine, Professor James Lin, an expert in Electrical Engineering at the University of Illinois at Chicago, suggests that microwaves produced the sounds. Professor Lin suggests that the resulting acoustic wave may be perceived as sound. And the brain tissue damage seen in the diplomats could have been caused by a combination of heating and shock waves. But not everyone is so convinced by Professor Lin's theory. Speaking to New Scientist, Professor Kenneth Foster, professor of Bioengineering at the University of Pennsylvania, said: 'That theory is a real stretch. Professor James Lin, an expert in Electrical Engineering at the University of Illinois at Chicago, suggests that microwaves produced the sounds. Last week, a report issued by a board of Cuban scientists suggested that crickets are the unlikely culprits of the brain-changing sounds. While US officials did not provide sound recordings to the scientists, Carlos Barcelo Perez, an environmental physicist at the National Institute of Hygiene, Epidemiology and Microbiology, recorded evening sounds around the residences, according to Science. The recordings revealed that the biggest noisemakers were insects. In particular, he found that the Jamaican field cricket chirps at a frequency matching the sound on the recordings, which topped out at 74.6 decibels. Medical experts discovered changes in the brains of US and Canadian diplomats, which fuelled growing scepticism that some kind of sonic weapon was involved. Earlier this month, medical experts discovered changes in the brains of US and Canadian diplomats, which fuelled growing scepticism that some kind of sonic weapon was involved. Medical testing revealed the embassy workers developed changes to the white matter tracts, which acts like information highways between brain cells letting different parts of the brain communicate. Medical testing revealed the embassy workers developed changes to the white matter tracts. Speaking to DailyMail.com, Dr Joel Moskowitz, a community health professor at the University of California, Berkeley, said: 'This makes me think the victims may have developed electromagnetic hypersensitivity (EHS) from exposure to electromagnetic fields in the embassy. But the Cuban report suggests that the 'sonic attacks' were really just crickets. The FBI is now planning its own investigation, to confirm whether or not crickets were causing the sounds.